The Pocono Mountains comes fully equipped with conference and meeting facilities fit for your next corporate meeting, team building event or conference. As a premiere destination in Northeast Pennsylvania, the Pocono Mountains Convention & Visitors Bureau (Pocono Mountains CVB) is setting the standard with technologically advanced meeting facilities offering high-speed wireless Internet, state of the art audiovisual equipment and a full spectrum of amenities you have come to expect, which include on-site fitness centers and professional spas. A myriad of options are available to suit every budget, whether you&apos;re looking for an intimate board meeting or a conference facility for several hundred. Your next corporate or association meeting, sporting event, seminar or religious function, will be professionally planned ensuring every detail is met with precision. For pre- and post- attendee activities or team building events, the Poconos is a four-season destination. Expect to find professionally designed golf courses, horseback riding,whitewater rafting, hiking trails, skiing, snowboarding, snow tubing or splashing in an indoor or outdoor waterpark. Likewise, year-round cultural activities abound at theaters and performing arts centers. An excellent value for groups seeking inspiration and rejuvenation, the Pocono Mountains is within driving distance from Philadelphia, New York, New Jersey, Southern New England, Metro D.C. Six interstate highways, I-80, I-81, I-84, I-78, I-380 and I-476, make the Pocono Mountains region quick and easy to reach. Make your next event an unforgettable experience and meet in the Pocono Mountains by calling 1-800-722-9199 or submit your RFP. 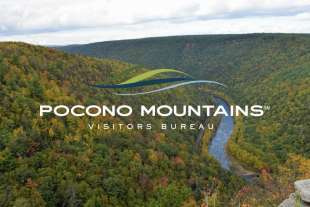 Let us help you save time and money by electronically submitting this RFP to the Pocono Mountains CVB. Build an even better team here in the Pocono Mountains!